membership card must be presented at the check-in by all members. Medals are awarded to all 1st, 2nd, and 3rd place team members! 4th Annual Picnic & Beach Day! Come have fun in the sun with the members of the Northern California Judo Club. We will have BBQ, potluck, games, beach, water balloons, and much more! Please remember to sign up for the Potluck and invite family and friends. Enjoy the weather and the company! Please take a moment and vote for Northern California Judo Club to win Solano County’s best of 2016. Voting ends October 9th 2016. Please share this with family and friends. Click on the link below and vote under the “Martial Arts” category. 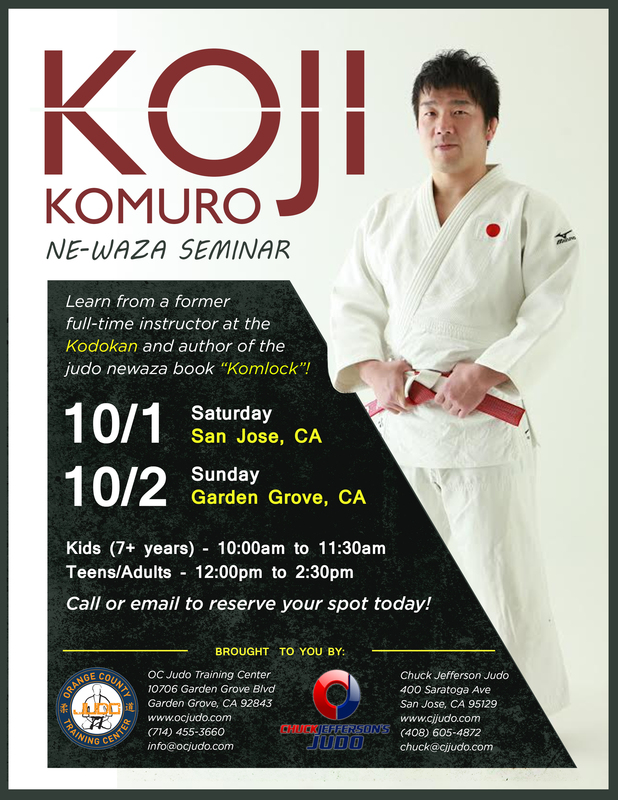 Seminar with Ne-waza Expert Koji Komuro from Japan! Please click the link below to reserve your space today! Please follow the link below to download the tournament entry form. Entries: You may enter up to seven katas with the same partner or with different partners ONCE per division. In other words, you may not “compete against yourself” in the same division. Early Registration: Entries received up to and including September 26 $40 per kata per person for the first three katas entered (that is, $120 per person for three katas); $15 per kata per person for any additional katas entered. Example: Jane Smith is competing in seven katas with three different partners. She will pay 3 x $40 ($120) + 4 x $15 ($60) = $180. Late Registration: Entries received after September 26 and up to and including October 3: Add a one-time “Late” fee of $40 to the above fees. Example: If Jane Smith’s entries are received on October 3, her total fee will be $180 + $40 = $220. 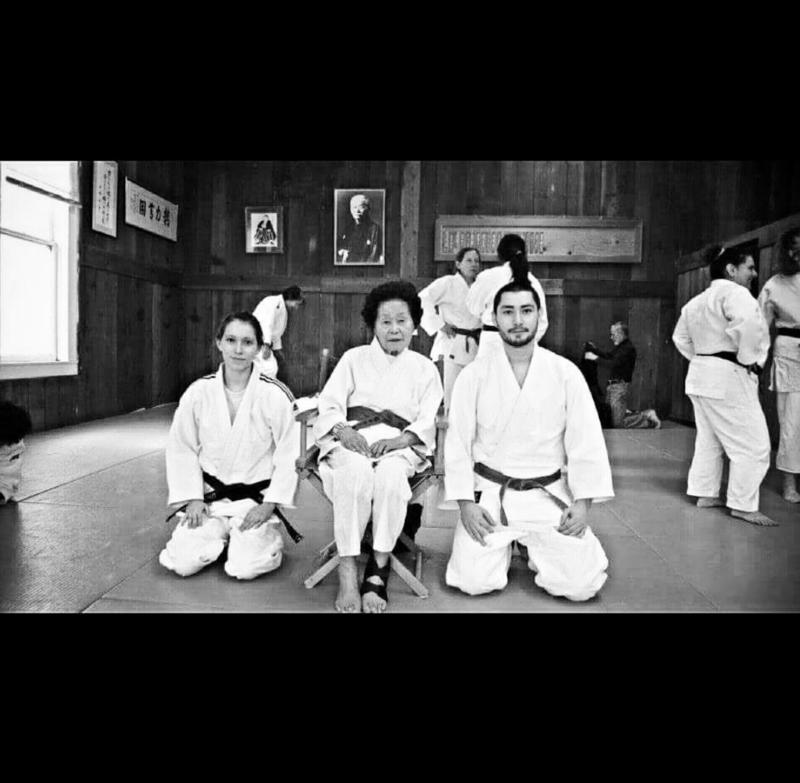 Make checks payable to Soko Joshi Judo Club. Bring your USJI, USJF, or USJA membership card on the day of tournament. Entry forms, waivers, and checks must be received by the deadlines above. Email may be used for questions and other correspondence, but all entry forms must be mailed via hardcopy. Note: To facilitate a smooth and efficient tournament, entries received after October 3 will not be accepted. NO WALK-IN registrations will be accepted on the day of the tournament. We appreciate your understanding regarding this restriction. Note: If you plan on attending this tournament, you must notify your instructor before going to this tournament.